While the first trailer for the Queen biopic Bohemian Rhapsody went over quite well, it was impossible not to notice that the trailer made no mention of the film’s director. This wasn’t exactly a surprise, as Bryan Singer originated the project and directed most of the movie, but he was fired off the film last fall during production for allegedly disappearing from the set after reportedly butting heads with star Rami Malek. 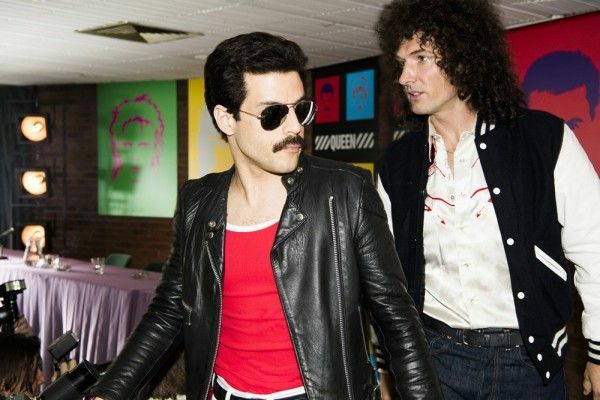 20th Century Fox subsequently brought in Eddie the Eagle filmmaker Dexter Fletcher, who was attached to direct a previous incarnation of Bohemian Rhapsody, to finish the film. So when all was said and done, the question lingered as to who would be the credited director on the film. Well, as revealed in the new issue of Empire Magazine, it’s Bryan Singer. Indeed, Fletcher previously said he didn’t come onto the project for a credit and simply wanted to see the film get finished, so it doesn’t appear as though there will be a battle at the DGA. King says Fletcher shot about 16 days’ worth of footage, bringing the movie to completion, but it also can’t be ignored that Singer was removed from the project around the time that the Harvey Weinstein ordeal came up, and past allegations against Singer were revived. But the fact remains that Singer directed the bulk of Bohemian Rhapsody, and thus a credit on that film certainly seems warranted. Early buzz on the film is quite positive, and King revealed in the same Empire issue how, exactly, they got Freddie Mercury’s vocals right for the film’s music numbers: They’re a combination of Malek, Mercury, and a Mercury soundalike named Marc Martel. It’ll be interesting to see how the film is received later this year, but Fox is coming off the massive success of The Greatest Showman so they no doubt feel confident about releasing another crowdpleasing musical during the holiday corridor. Bohemian Rhapsody hits theaters on November 2nd. Check out Marc Martel singing Bohemian Rhapsody below.